Director: Mitesh Kumar Patel, Sam SonWriters: Julian Jay Burton, Lekhraj PatelStars: Eric Roberts, Caite Upton, Mykel Shannon JenkinsSummary: After a freak accident during her baby shower, Allison, a dedicated nurse, is rushed to the hospital. After the premature birth of her son Neron, strange events emerge: illusions, vivid dreams, and unexplained killings. The events are linked back to Neron as Allison is taken by sudden premonitions that reveal the victims of her son's next choice. 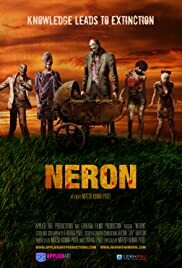 Reverend Jones (Eric Roberts) recognizes an abysmal evil power in Neron and tries to free the boy by all means possible.